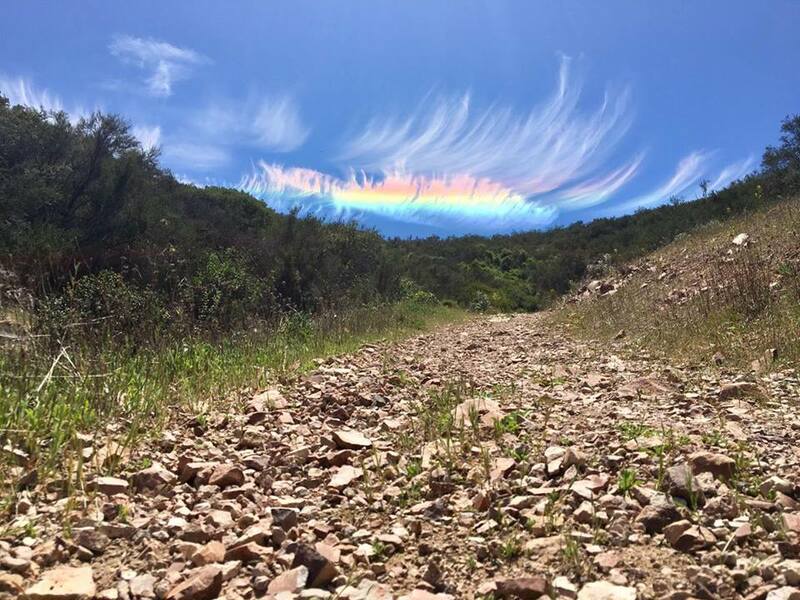 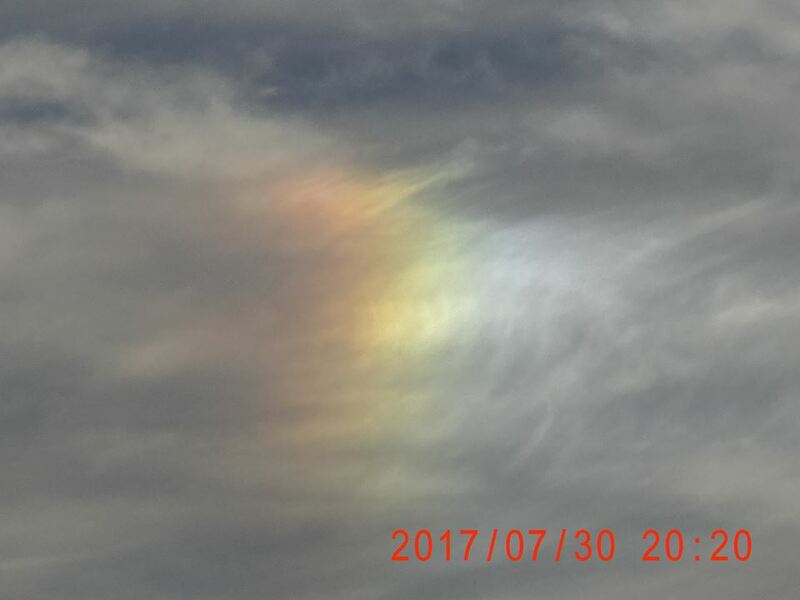 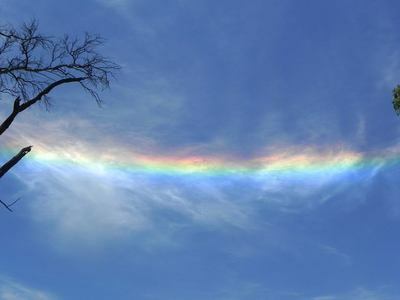 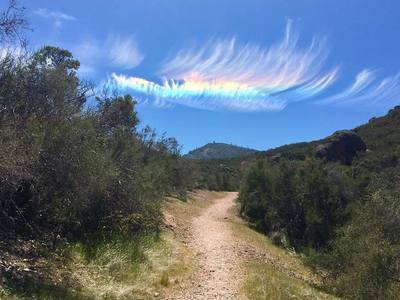 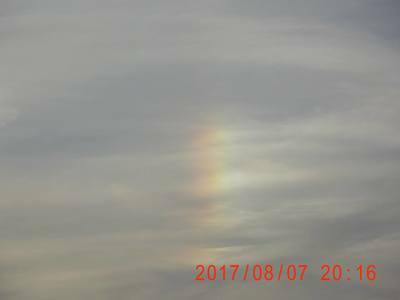 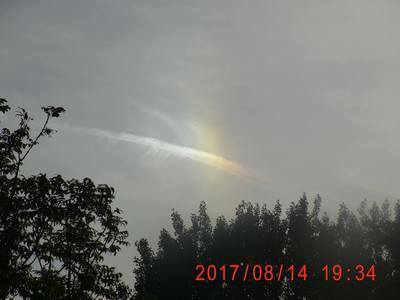 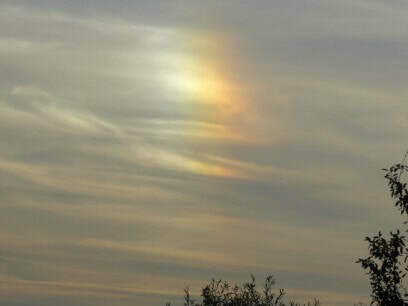 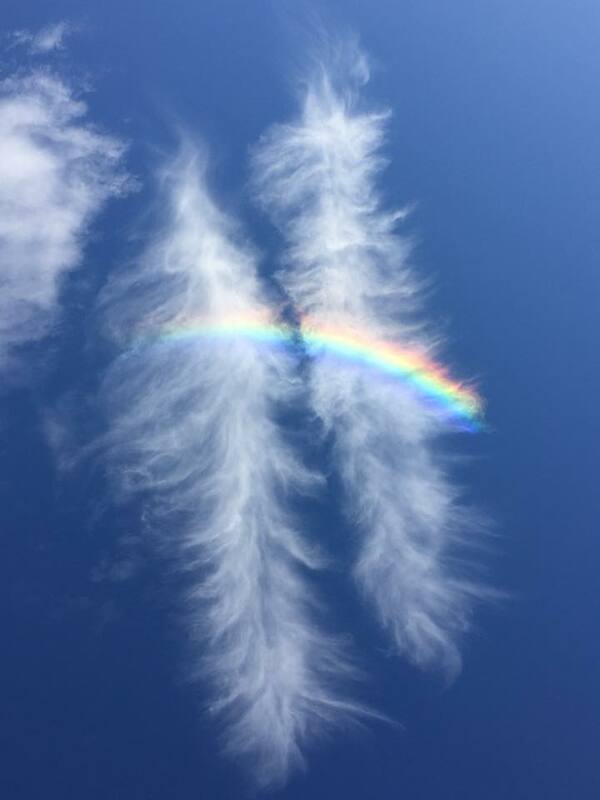 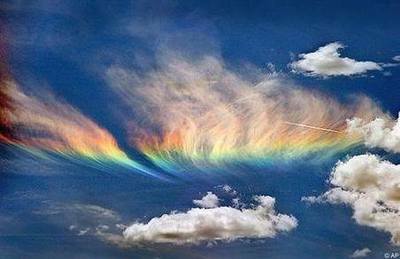 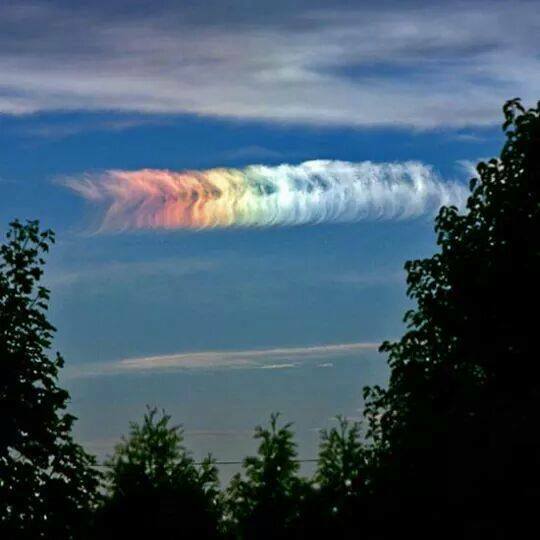 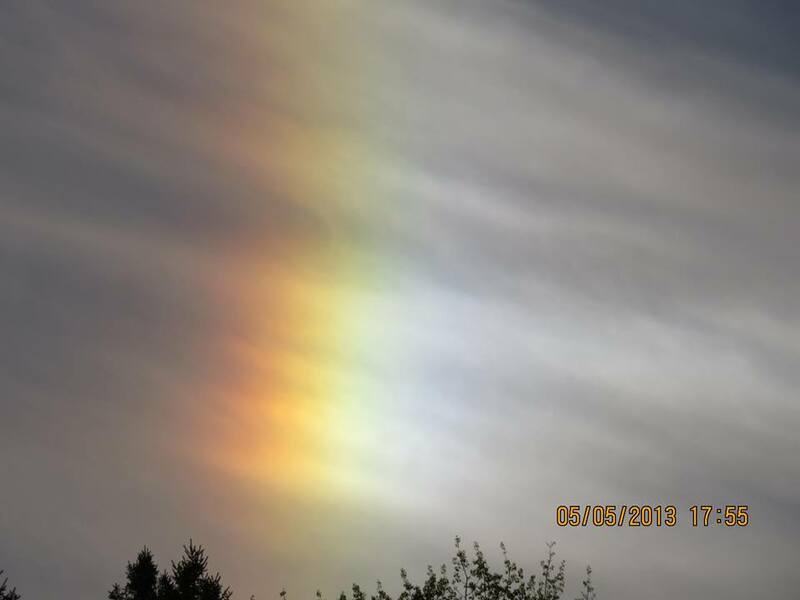 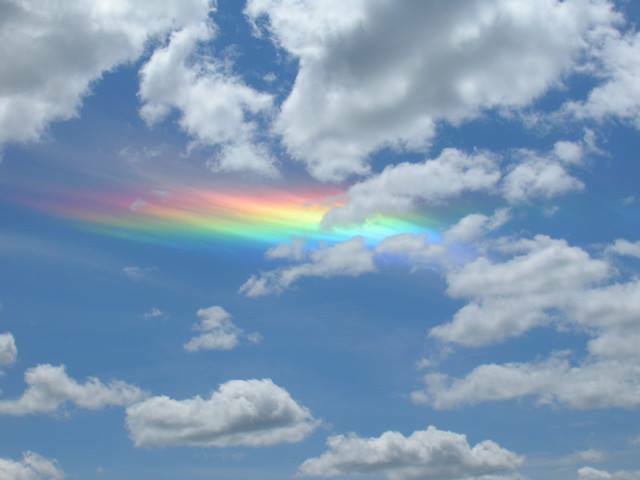 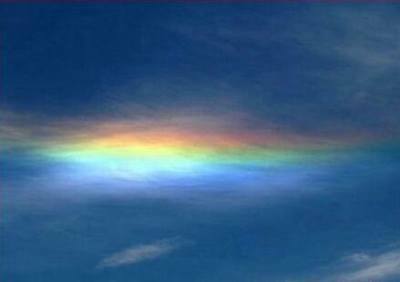 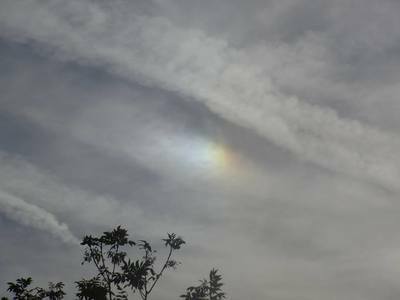 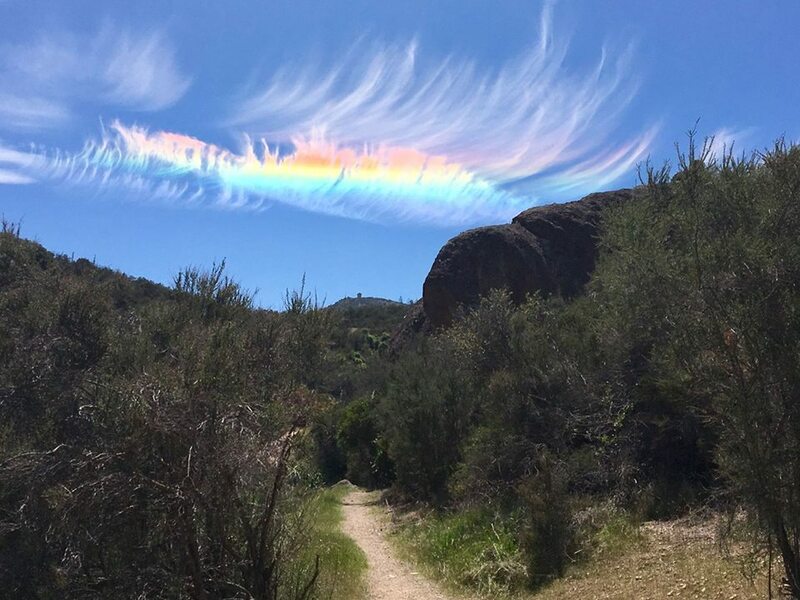 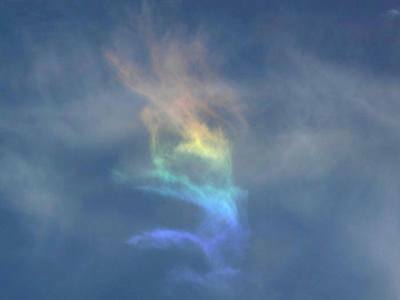 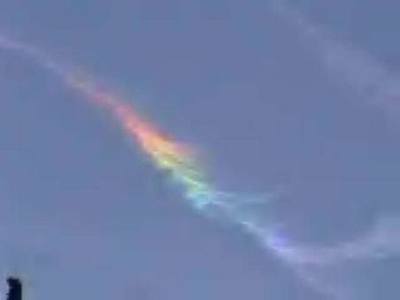 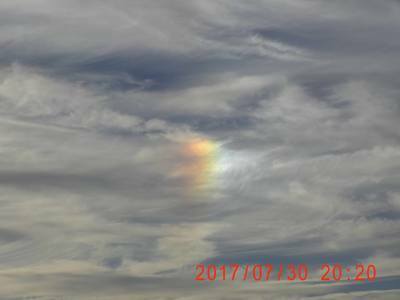 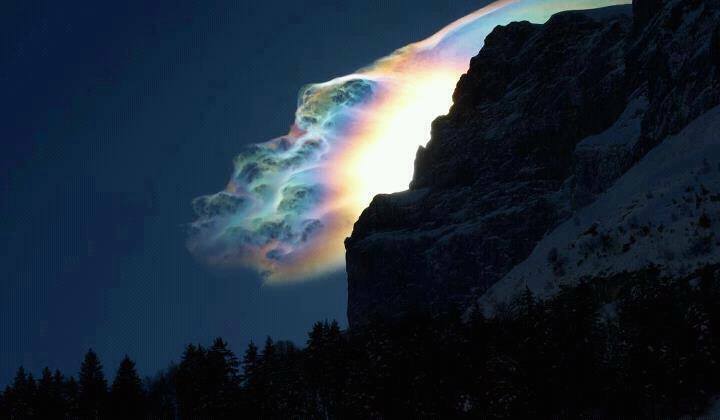 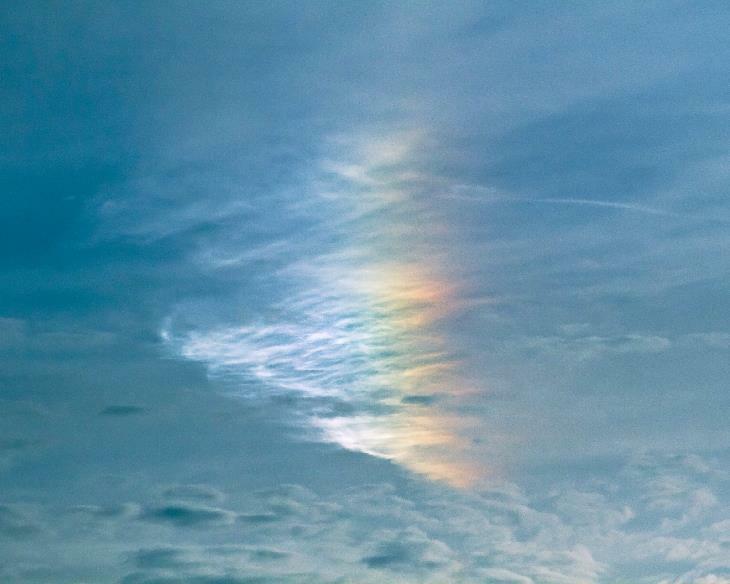 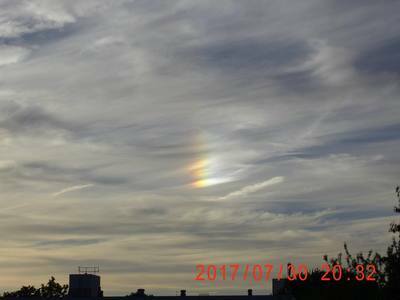 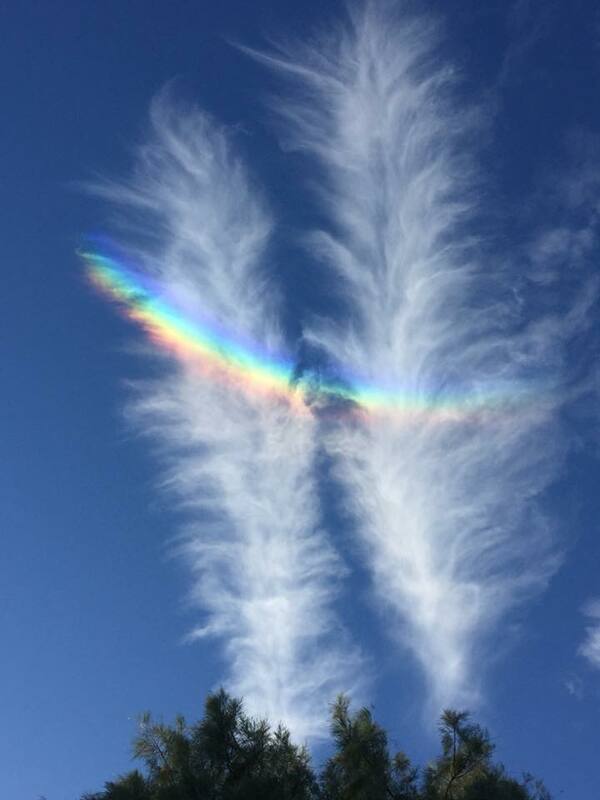 A circumhorizontal arc, also known as a fire rainbow, is an optical phenomenon that belongs to the family of ice halos formed by the refraction of sun- or moonlight in plate-shaped ice crystals suspended in the atmosphere, typically in cirrus or cirrostratus clouds. In its full form, the arc has the appearance of a large, brightly spectrum-coloured band (red being the topmost colour) running parallel to the horizon, located far below the Sun or Moon. 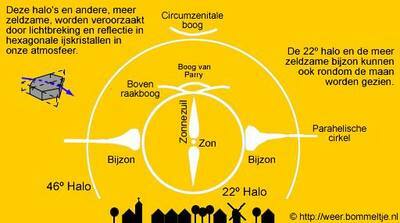 The distance between the arc and the Sun or Moon is twice as far as the common 22-degree halo. 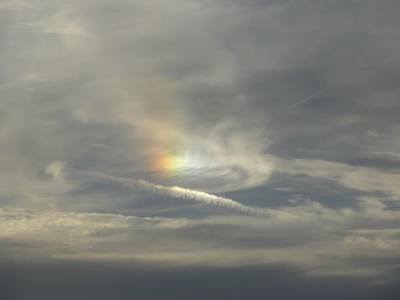 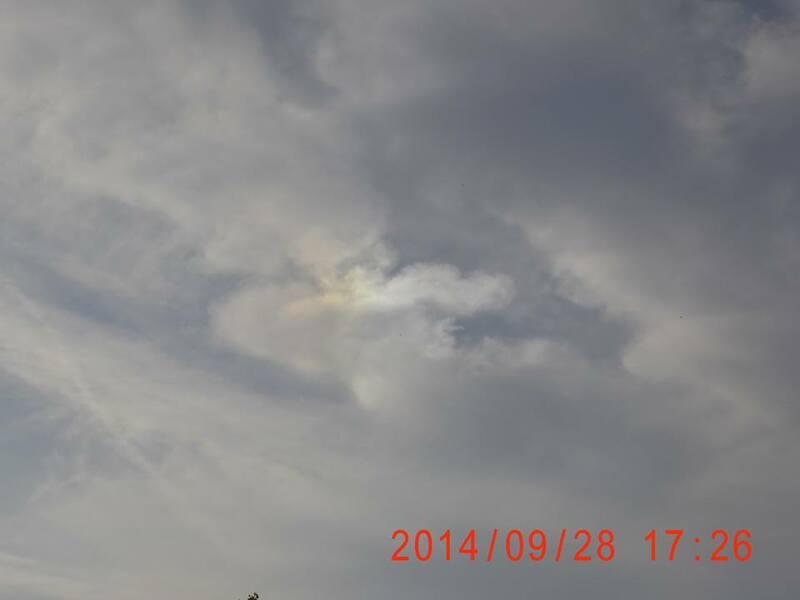 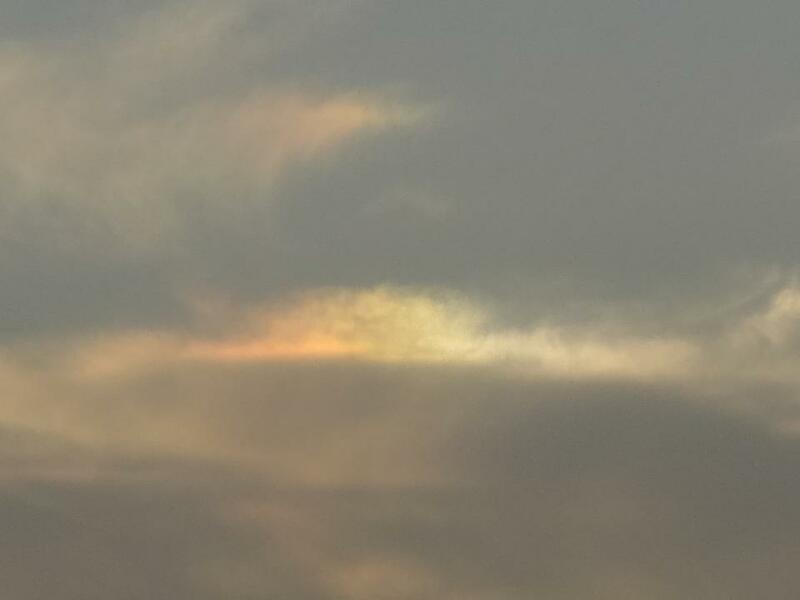 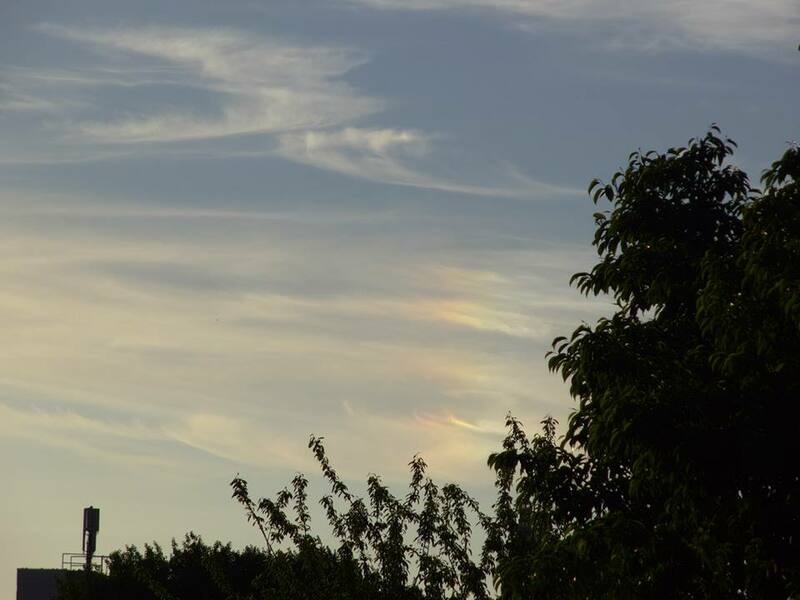 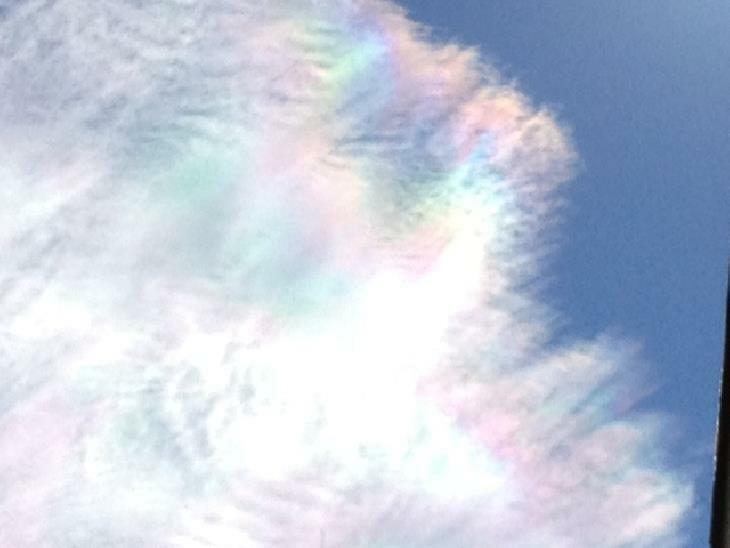 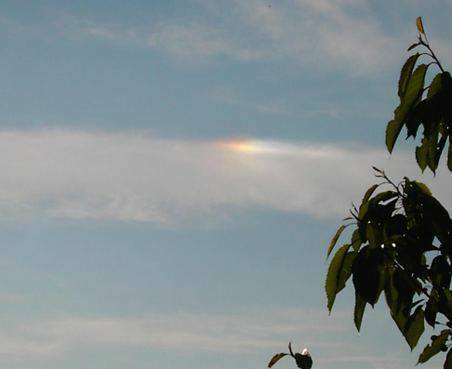 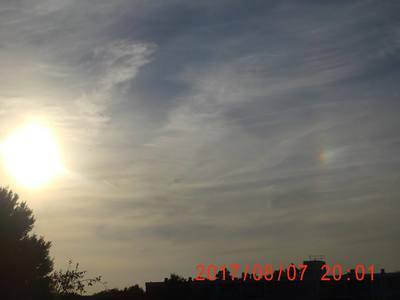 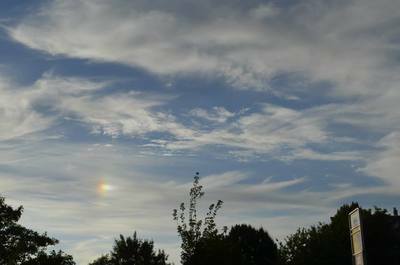 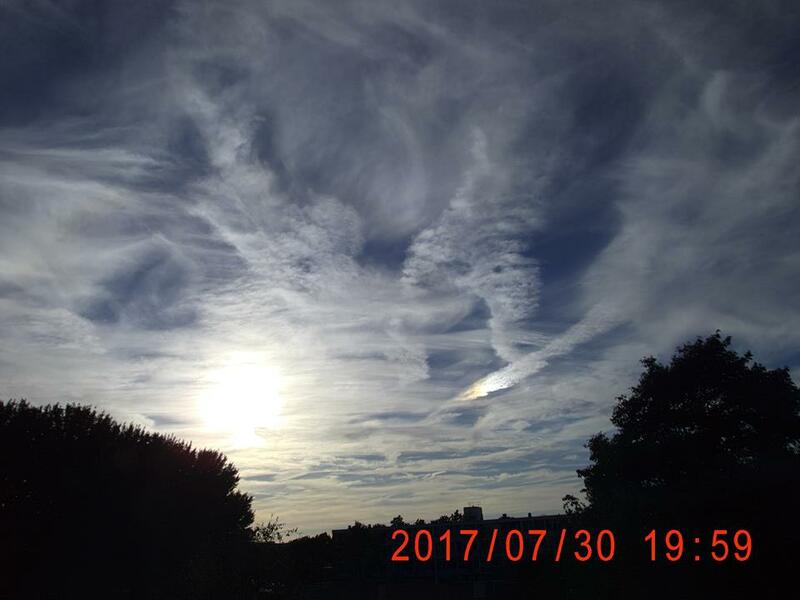 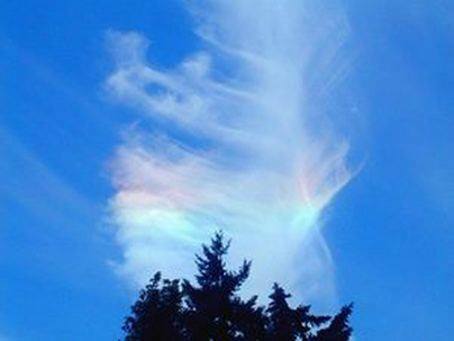 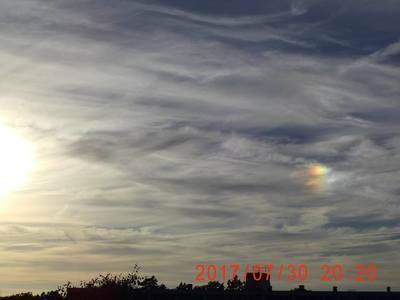 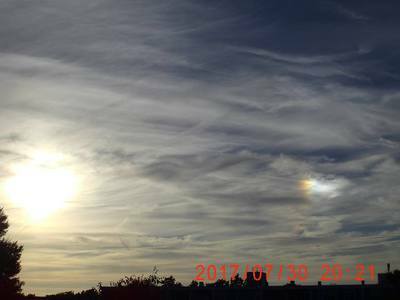 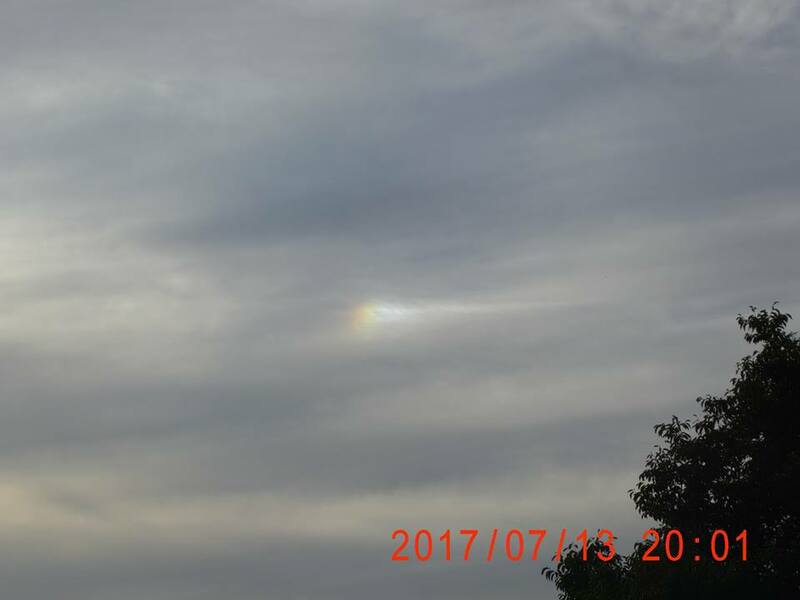 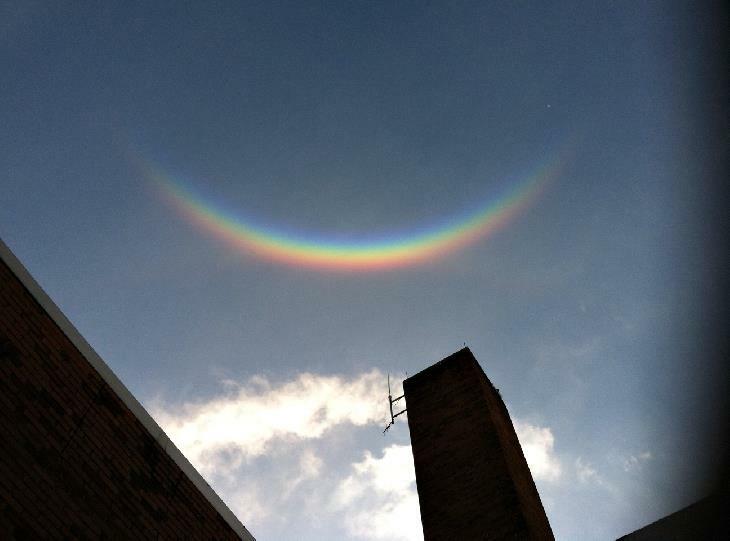 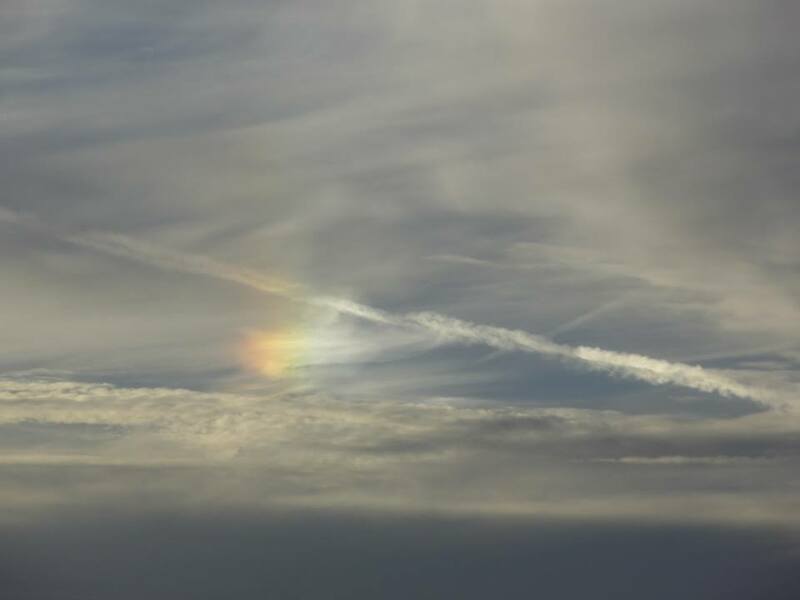 Often, when the halo-forming cloud is small or patchy, only fragments of the arc are seen. 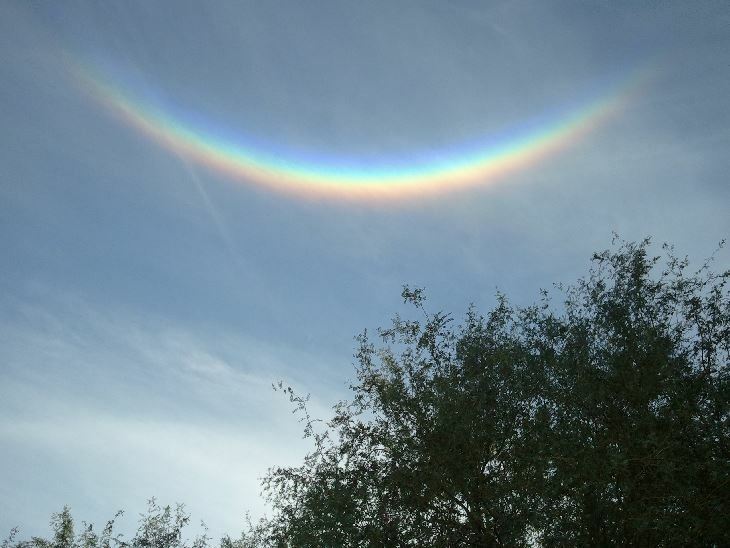 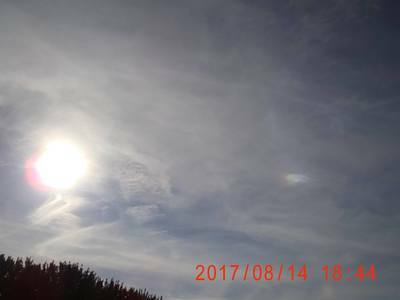 As with all halos, it can be caused by the Sun as well as (but much more rarely) the Moon.